Join us for the annual Japanese star festival! 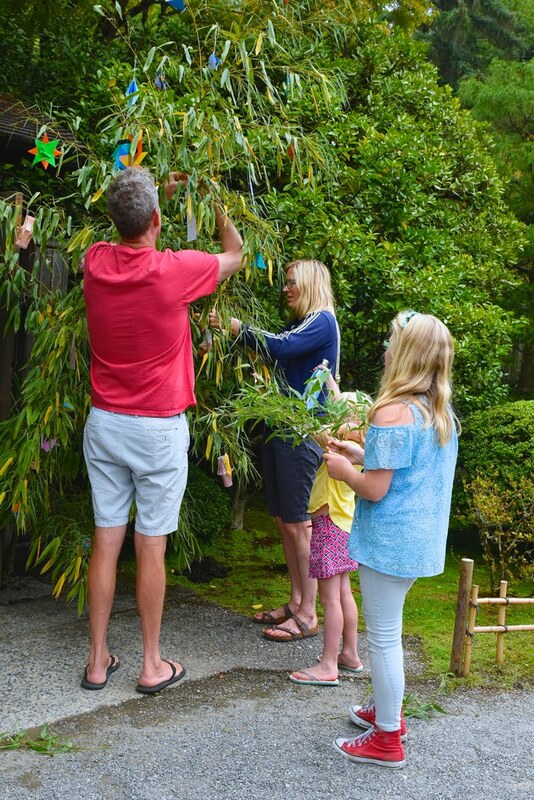 Tanabata 七夕 at the garden is a family-friendly event that we celebrate with magnificent colors, craft making, and a tradition of writing wishes. The origin of Tanabata comes from the legend of Orihime and Hikoboshi, star crossed lovers separated by the Milky Way. Each year on the evening of July 7th, Orihime and Hikoboshi are allowed to reunite for one night only. In Japan, Tanabata is celebrated by decorating bamboo branches with origami ornaments and tanzaku, poems or wishes written on small strips of paper. Or garden visitors will have the opportunity to write wishes and tie them to bamboo sticks in the garden. Garden tours will be offered at 12:30. The Tateuchi Community Room will be open for guests to enjoy complimentary tea, and an art exhibit, featuring the winning works from the Photography Member Contest. The festival will also feature an energetic performance by UW Taiko Kai and Japanese sword demonstration by Seibu-ryu School of Iai-Battojutsu, and origami. Traditional Tea Ceremony presentations will be held at the Shoseian Tea House at 1, 2, and and 3p.m. A limited number of tickets are available at $10 for adults and $7 for youth. Tea ceremony tickets can be reserved by calling the ticket booth at (206) 684-4725. Event is free with regular garden admission and no advance tickets are required. Click here for Garden admission rates. Children age 12 and under enter FREE from 10am to 2pm on Family Saturdays.